Salma Hayek’s brings a new addition to the world of beauty. 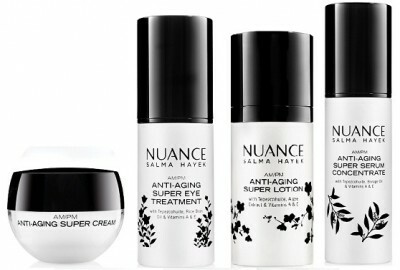 Inspired by her grandmother’s beauty recipes she launched her line of beauty products called Nuance Salma Hayek. Sold in CVS across the country. Salma grew up in Coatzacoalcos, in the south part of Mexico where her grandmother, Maria Luisa Lopez, was always mixing her creams and beauty products. 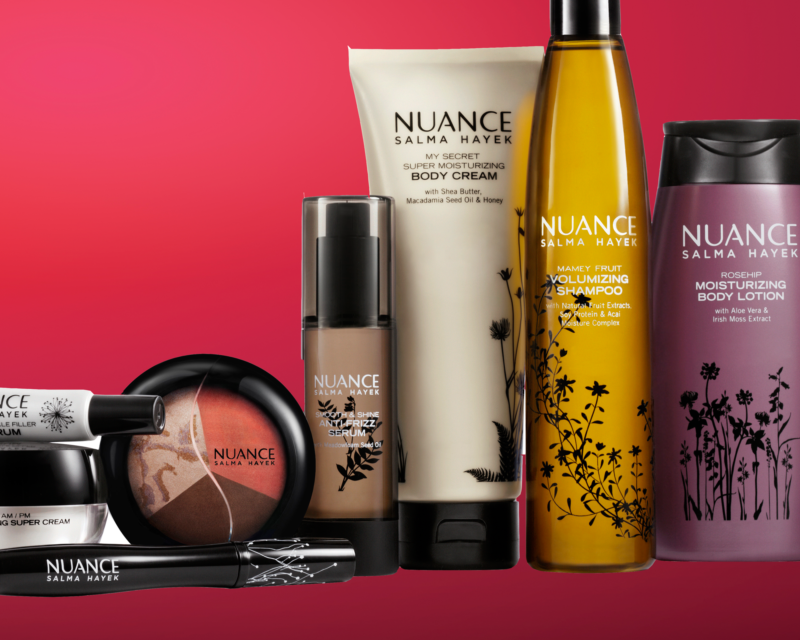 Nuance has 160 products for the hair, body, and face that cost between 5.99-19.99. In 2014, the styling cream for wavy and curly hair won the Allure Best of Beauty 2014. It’s perfect for air-drying wavy hair and controlling frizz. Featuring Mexican-American beauty Salma Hayek as the founder and spokesperson, this line is very much connected to her beauty roots, she even mentioned how she want’s to keep her grandmother proud. Beauty Secret: Ancient Mayan civilizations sought after the bark of the Tepezcohuite tree as an effective, natural skin treatment. Native to Brazil and southern areas of Mexico, its dark brown and gray bark has antioxidant properties and its ability to help revitalize the skin.